The premise of the joke was that Cain, the inexplicably smug Tucker Carlson wannabe who has said climate change fears are “intellectually dishonest” and was ready to defend Trump’s Muslim ban on ESPN, was going to fill in for Bomani Jones on Jones’s show with Pablo Torre, High Noon. 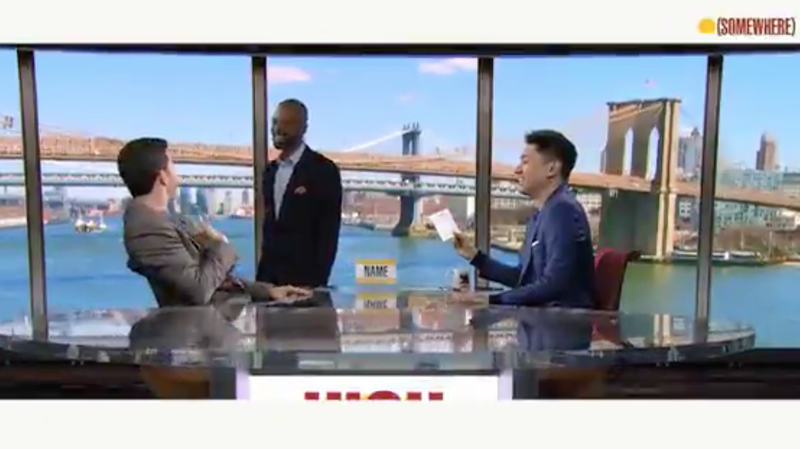 Cain and Torre get through most of the intro banter—Will is just so excited to be hosting a TV show—and then Bomani pops up. Now that is a satisfying April Fools’ Day joke. ESPN&apos;s New Hire Says Global-Warming Fears Are "Intellectually Dishonest"